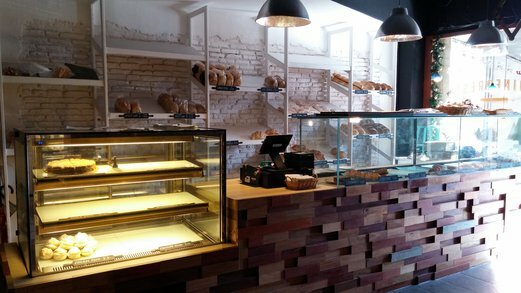 The last time I came to Penang, I had a lovely tea break at Coffee Affairs that served up decadent mille crepes and cheesecakes. 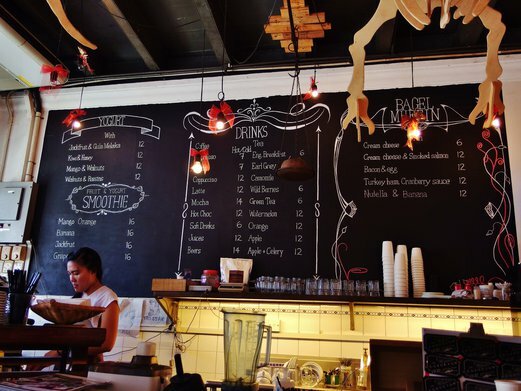 While exploring, I also discovered several other hipster cafes in the old quaint streets of Georgetown that I felt would be worth a separate cafe hopping trip. 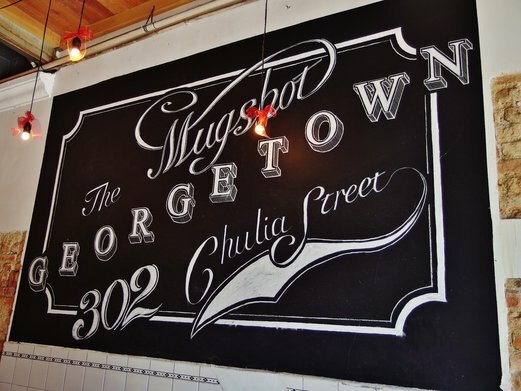 And indeed, this time I came back, I decided to visit The Mugshot Cafe for its acclaimed bagels. 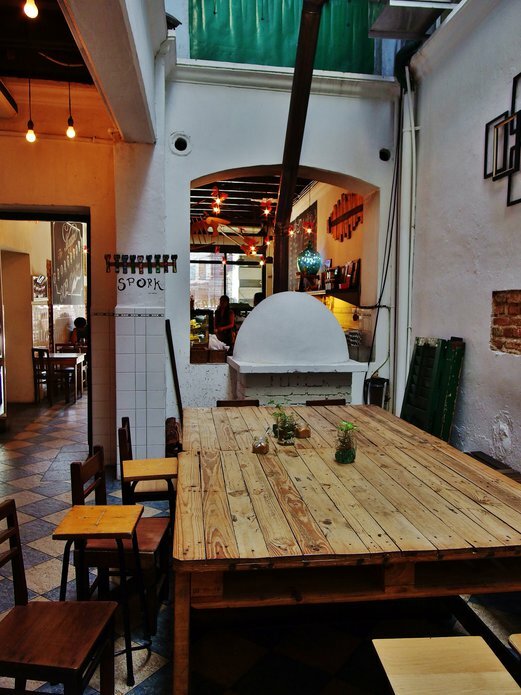 The cafe was connected to the Rainforest Bakery next door that simply exuded a lovely whiff of freshly baked bread. And right at the back of the cafe was this quirky looking optical shop. Really didn’t expect to see a shop like this here. The way they displayed their specs and shades was pretty cool – very unlike our standard optical shops back home. 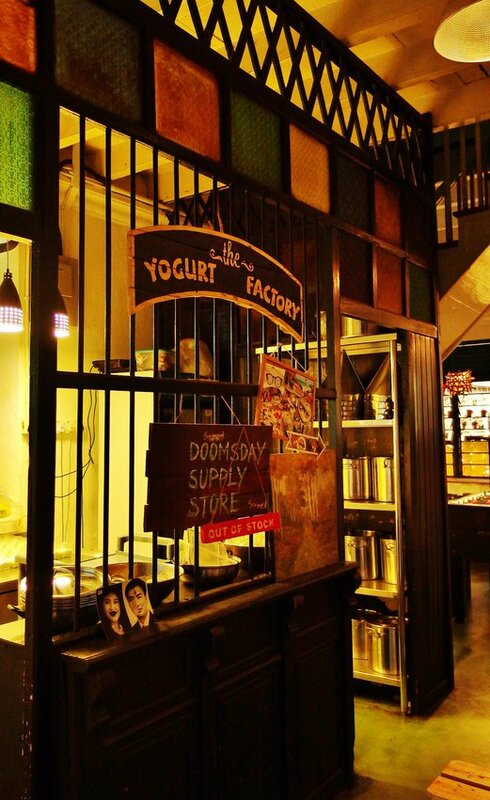 For info – to get to the toilets, you would have to walk through this optical shop and go beyond that green wooden door. 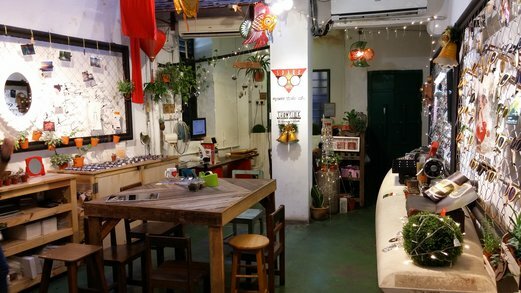 The cafe had pretty much retained the charm of an old shophouse with a retro vibe. 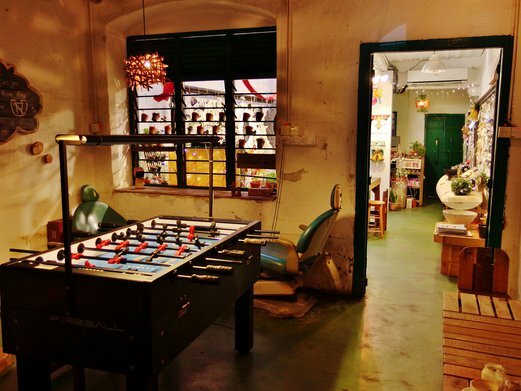 Look at those old salon chairs behind the football table. 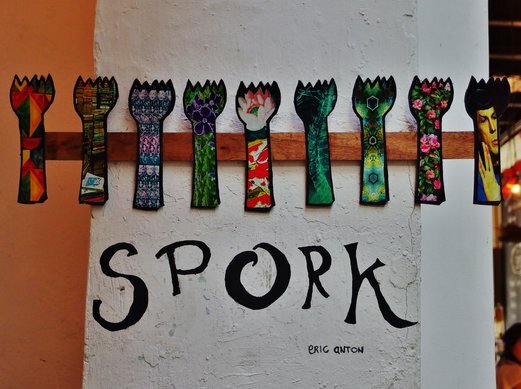 The menu wasn’t extensive but good enough for a light breakfast, brunch or tea time snack. 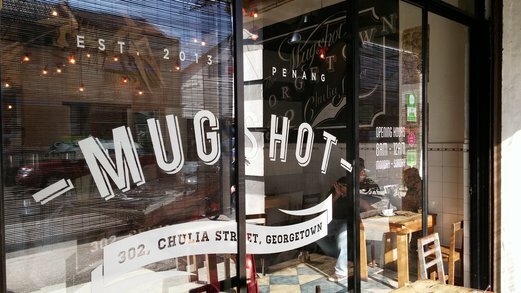 Apparently, Mugshot is also popular for its yogurts with flavours like Jackfruit & Gula Melaka, Kiwi & Honey, Mango & Walnuts and Walnuts & Raisins. 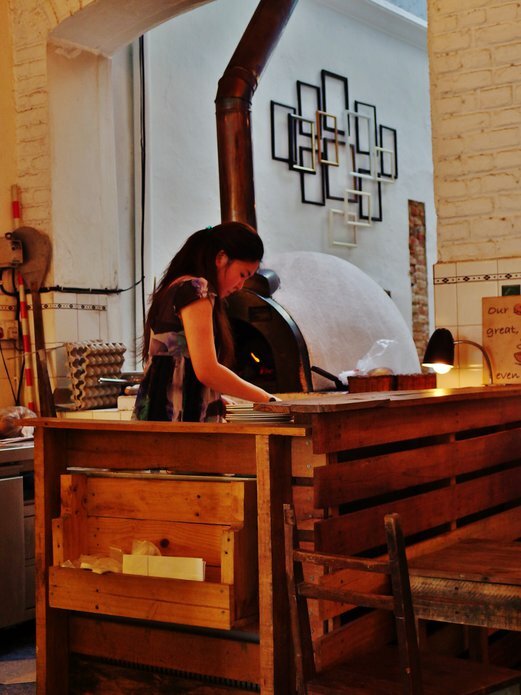 Our bagel was prepared upon order and toasted in the wood-fired oven. 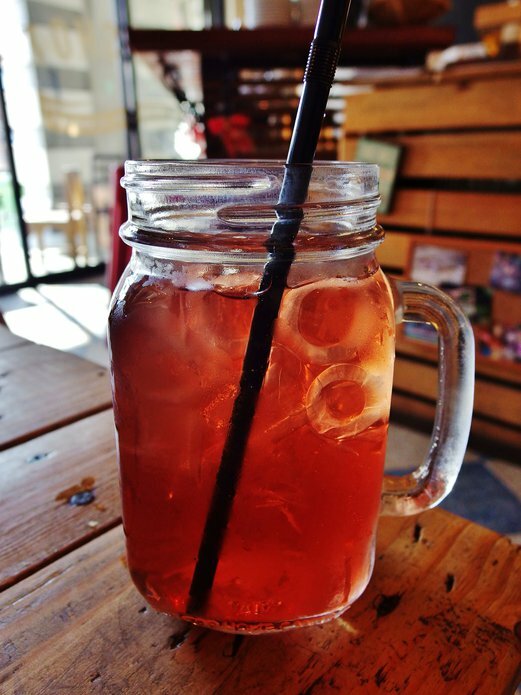 We shared a Wild Berries Iced Tea (RM6) that was totally thirst-quenching on a hot & humid afternoon. At first I was a little skeptical about my choice of drink as I expected it to taste artificial but it turned out better than I thought. It had no added syrup which was good because the berry flavour itself was already mildly sweet and fragrant. The Cream Cheese & Smoked Salmon Bagel Muffin (RM12) was a sight to behold. 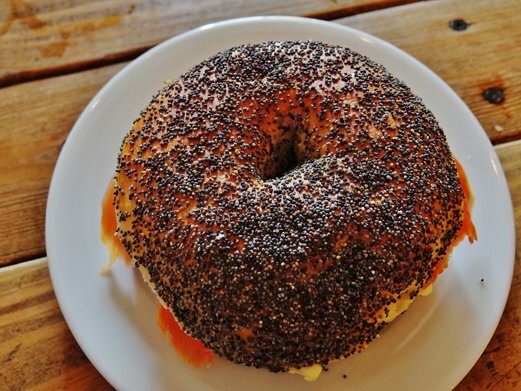 This must be the most enticing bagel I ever had – big, puffy and with lots of poppy seeds. When you knock against the bagel, you get that resounding “tat tat”. Giving a nice bite with contrasting textures – crispy on the outside and slightly chewy on the inside. 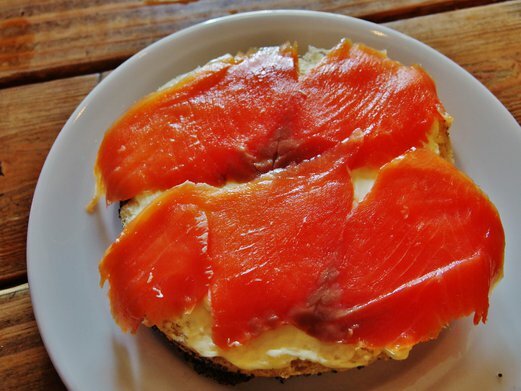 The bagel was good enough to be enjoyed solo and tasted even better when paired with the mildly sweet & tangy cream cheese and salty smoked salmon. 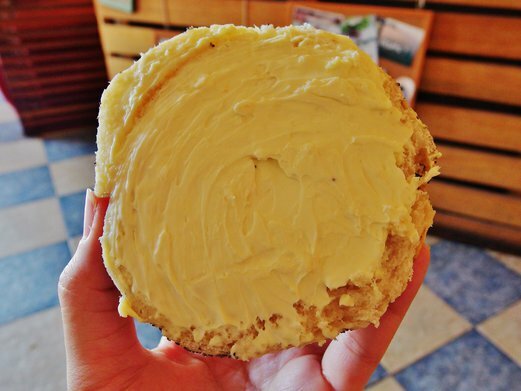 I must say, the bagel I had at Mugshot was the best I ever had as freshness was evident. It checked all the right boxes with a balance of sweet, tangy and salty flavours along with textures that range from crispy to soft and chewy. If you need a brief respite from hours of walking or shopping, this is the place to while away time with an reinvigorating afternoon tea. 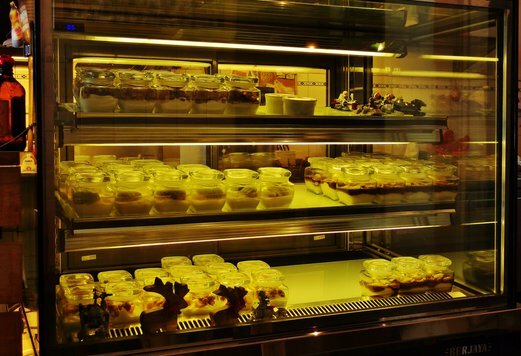 Note: Prices shown on menu are NETT with no GST and/or service charge.